Home \ Featured \ URF Mode! Live Again in March! Attention all summoners! For the second week in a row Riot has Made the featured game mode of the week All Random Ultra Rapid Fire! 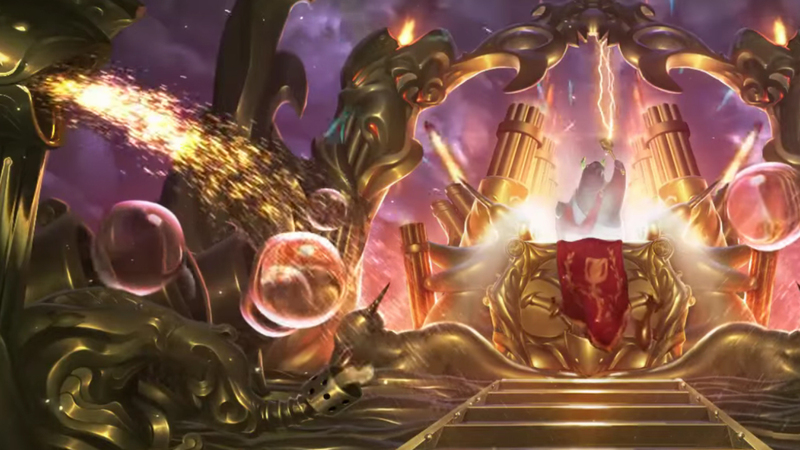 For those unaware of what that could possibly mean ARURF (Pronounced Arurf) is a special game mode in the Moba League of Legends, rewriting the rules that usually dictate the pace of the game for new ones tailored for fast paced death inducing Chaos! From Level one all spells are free to cast and their cooldowns are reduced by 80%, meaning instead of the normal strategic pacing and careful expenditure of resources you are now free to cast spells as fast as you can break the keys on your keyboard. Prefer Attack based Champions? ARURF has a solution for that as well, all attack speed bonuses are doubled and Critical strikes do Bonus damage. Lastly, and perhaps most importantly this run of URF mode has a special +50,000 potato affinity, so stuck playing on a Lite-Brite or Etch-A-Sketch? Even you can get in on the Spam Casting, hair pulling, post game lobbying complaining about all your favorite and least favorite Champions! ARURF will be available to play from March 3-6, and as to when it will return whose to say since RIot jumped the Gun on what is usually the April Fools Treat. So get in and face roll your keyboard for all its worth while you can!